The Syberia adventure games created by Belgian comic artist Benoit Sokal have a quite a following, which no doubt makes sense considering that both the original Syberia game released in 2002 and its 2004 sequel are two of the best adventure games made to date. 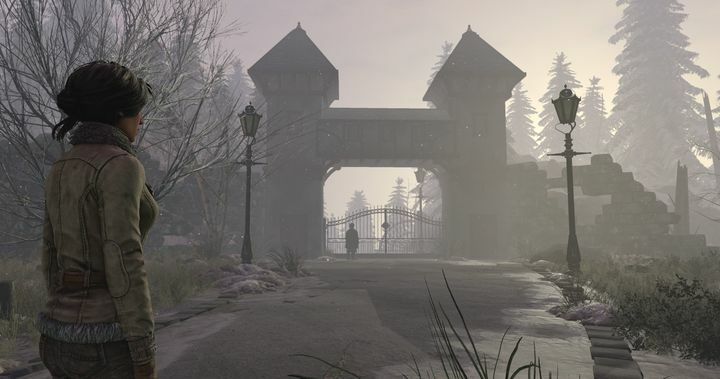 And even if it’s taken over decade for a new Syberia game to be announced, the game’s announcement trailer suggests that this could be another great adventure game when it’s released this fall. The game will once again star journalist Kate Walker, who will begin her new adventure in quite a predicament, as according to the game’s description on the Steam store Walker “is found dying on the edge of a river by the Youkole tribe, a nomadic people migrating with their snow ostriches. Stuck in Valsembor village, together they must find a way to continue their journey in a race against their enemies and unexpected obstacles”. It is clear though, that this will also be the best-looking Syberia game to date, as according to the trailer it will be in full 3D (not that this is a feature these days, but it’s a first for the series anyway…) and feature motion captured animations to make player’s interactions with the world more realistic, plus the game will also have the usual colourful cast of characters that players have come to expect from Benoit Sokal’s Syberia games. All in all, it looks like this will be one adventure game to look forward to this year, and it is clear that fans of the Syberia games will be waiting for this latest instalment of the series and Kate Walker’s latest adventure with bated breath, so hopefully this will be another worthy adventure from developer Metroids come the game’s release date in December. Note: Syberia 3 will be released on December 1, 2016. Available on PS4, Xbox One, Xbox 360, Android, iOS, PC and Mac.